Wait. What? Does that sound creepy and weird and not at all true? Ummm, yeah. That’s because this kind of morning ritual would be freaking ridiculous. Nevertheless, time and time again I find children’s books geared toward kids of mixed race, which sound exactly this cheesy and contrived. “You are Black and White, and you are just right.” “You are Asian and Black, and you are on track.” “You are White and Hispanic, and you don’t need to panic.” Come on, writers. Can’t we offer the multiracial children of the world something a little more substantial? Please understand that I know that there is a place in children’s literature for these types of books. When people are in a minority group whether through race, religion, disability, family style, or whatever, it makes sense that it would be nice to read an affirming and empowering book which proclaims the message that it is okay to be different and you are wonderful just the way you are. On the other hand, if children’s literature truly represented ALL types of children from ALL kinds of families in a natural and organic way, kids would not need to be told that their family situations are okay. They would just know that they are okay because they would see reflections of themselves on TV, in movies, and in the books that they read. 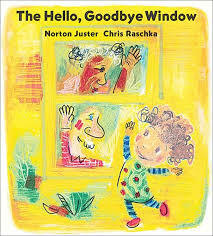 The Hello, Goodbye Window features mixed race parents (black mom/white dad) and mixed race grandparents (black grandma/white grandpa). In this book, the little girl tells a wonderful tale about visiting her grandparents via her experiences surrounding a special kitchen window. 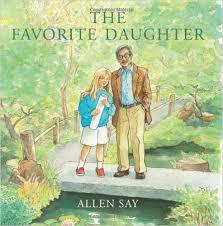 I love this book because the racial makeup of the family has zero impact on the storyline. The illustrator could have drawn a white family, an Asian family, or a Latino family; however, the illustrator just happened to draw an interracial family. Fabulous. 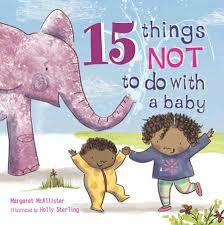 15 Things Not to do with a Baby has a self-explanatory title. For example, don’t give your new baby to an octopus for a cuddle, plant him in a garden, or send him up in a hot air balloon. This storyline again could be illustrated with any type of family, but it’s fantastic to see that the father is black and the mother is white with a biracial big sis and a new baby brother. 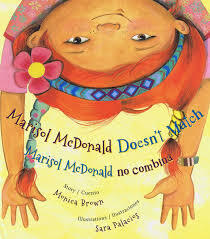 In Marisol McDonald Doesn’t Match, Marisol is a bilingual Scottish-Peruvian American girl that doesn’t match, nor does she want to. She has brown skin and fire-red hair, wears plaid and polka dots, eats peanut butter and jelly burritos, and plays princess and pirates. She begins to feel defeated after a bit of teasing for her mismatched ways. 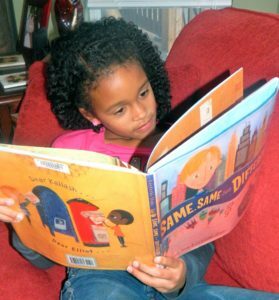 However, an empowering note from her teacher reaffirms her unconventional identity, and the story ends with her finding a new and equally mismatched friend. Marisol is back in Marisol McDonald and the Clash Bash, and she is planning a mismatched birthday party to celebrate her eighth birthday. But it is not unicorns and soccer balls that she desires. More than anything, Marisol wants her Abuelita from Peru to be able to visit. She has been sending her allowance to Abuelita to help pay for the plane ticket, but visas and paperwork also stand in the way. 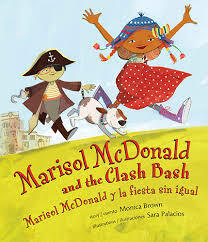 Nevertheless, Marisol’s parents devise a creative solution, which makes her birthday the greatest Clash Bash in history. 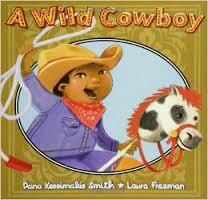 A Wild Cowboy features an Asian-American mom and an African-American dad with two young sons. The family packs up for a journey to grandma’s house, all while pretending to be cowboys. Like other interracial books that I love, the family’s ethnic make-up is irrelevant to the storyline. It’s just a great story for a western-loving boy or girl. In The Favorite Daughter, a young girl who is Japanese and white, struggles to embrace her heritage. Her father lovingly guides her through her brief identity crisis and rekindles a spark of appreciation for her Japanese roots. This book touches on sensitive topics such as divorce and teasing by peers (people frequently mispronounce her name Yuriko, and she is teased for having “Japanese eyes” but blonde hair). This book is a beloved (and long) story, which my children love to select at bedtime just so that they can significantly delay the inevitable. In My Two Grannies a young girl stays with her two grandmothers (one black from Trinidad and one white from Great Britain) while her parents (black mom/white dad) go away on holiday. 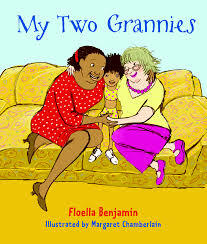 Although at the beginning of their stay the two grannies disagree on how to care for their beloved granddaughter, the book demonstrates how to celebrate two different cultures coming together. 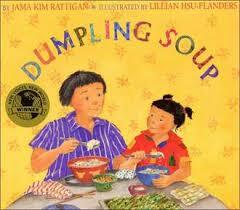 Dumpling Soup is set in Hawaii, where an Asian-American girl recounts her efforts to help make dumplings for her family’s New Year’s Eve celebration. The young girl describes her family as chop suey, which means “all mixed up” because her extended family is comprised of people of Korean, Japanese, Chinese, Native Hawaiian, and haole (Hawaiian for white people) descent. Her grandma claims that their special mixture gives “more spice” to the family. In The Very Inappropriate Word, young Michael adores vocabulary words and even “collects” them like special treasures. This story portrays the funny events that unravel as Michael overhears his first “inappropriate” word on the school bus. I was thoroughly amused with this book and loved the fact that the illustrator just happened to make Michael a mixed kid with a white mom and black dad. My final selection is All the Colors We Are. In a very understandable and child-friendly manner, this book explains what makes up skin color and how people obtain their skin color (e.g. parents, ancestry, the sun, one race, two races, multiple races). This book features photographs of children in every shade and hue, as well as a great variety of families. Furthermore, the text specifically states that families with parents of two different skin colors will have children whose skin is light, dark, or anywhere in-between. 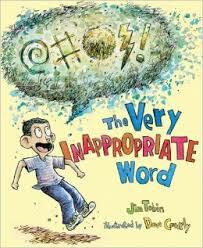 This book is a recent find of mine, and I can’t wait to share it with my children’s schools! Well, I hope that you have the opportunity to enjoy some of these fantastic stories. 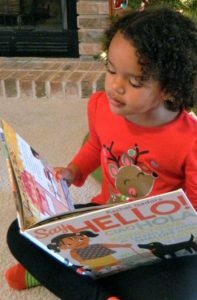 Whether you are part of an interracial family or you simply desire to diversify your at-home reading library, any one of these titles would be an excellent choice. For more diverse titles that my family adores click HERE.